Although we specialise in bespoke wedding plans we understand that you may wish to find out roughly how much your wedding in Cyprus is likely to cost before you start on the detailed wedding planning. We have shown below some examples of different types of Cyprus wedding Packages to get you started. Not everyone wants to use an experienced wedding planner, some brides prefer to arrange their own wedding. 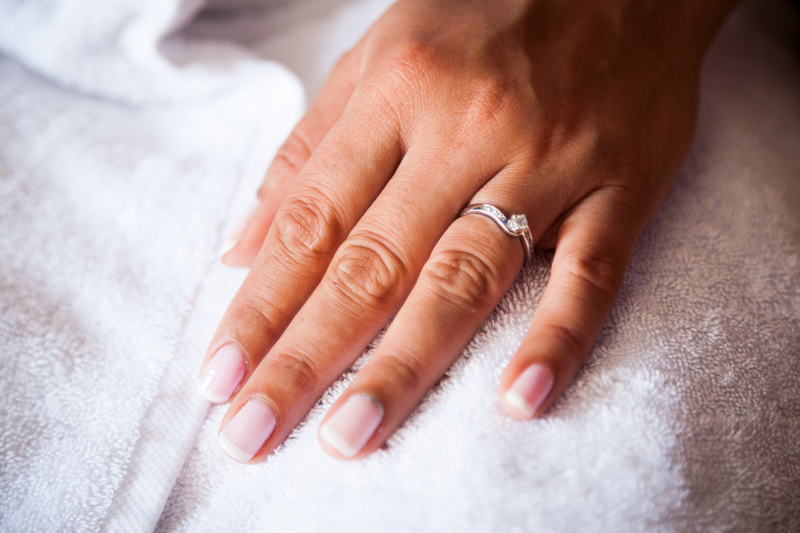 Many brides are nervous about the booking process and legal paperwork required, as there is a lot of conflicting and incorrect information about this on the internet. For these brides we have a paperwork package that will give you the peace of mind that your papers are all correct and checked, we will help you to obtain your marriage license but still give you the freedom to plan your own wedding. 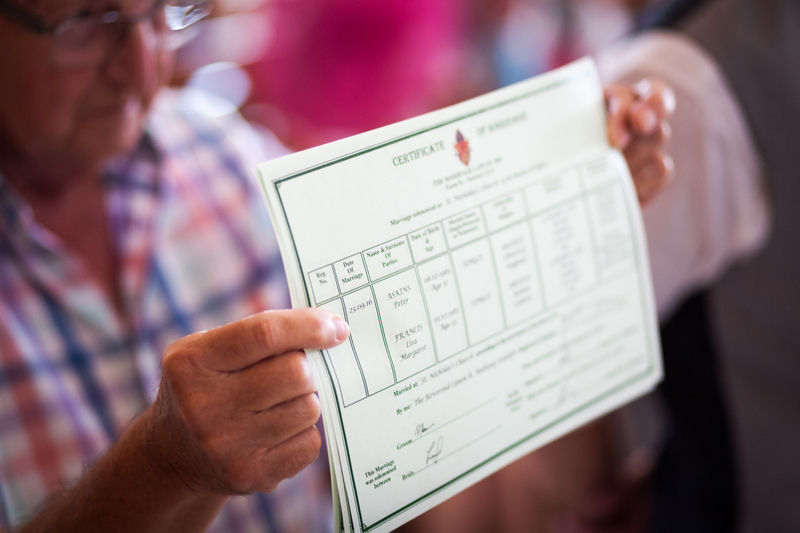 Please note that the license fees, additional registrar fees for a non Town Hall wedding and venue hire fees are not included in this option. It does take 1-2 days to obtain Apostilles after your wedding. If you have already left Cyprus by the time this is complete we will send your certificate to your home address by registered post or DHL and there will be an extra charge for this. ❿ Attendance of a Wedding Planner at the Town Hall on your wedding day to ensure smooth running. * Note extra fees apply at some Town Halls for afternoon weddings. If you require 2 witnesses for the ceremony we can supply an additional planner for small extra fee. This Cyprus wedding package can also be used by non British passport holders, however some extra fees will apply for legal document checking, and there will also be a charge for obtaining Apostilles from Government Ministries in Nicosia which is required for certain countries outside of the Schengen Agreement area. This is a complete Cyprus wedding package including a reception for 20 people, and has everything you need for a fabulous wedding day! ❽ Full wedding planning service including pre-wedding meeting & reception venue decoration. Our full wedding planning includes escorting you to the Town Hall to obtain your marriage license followed by meeting with our photographer and owner of the restaurant to confirm final details and timings. On the day your wedding planner will be present throughout the day, assisting with the dress, decorating the venue, making sure guests know were to go and above all ensuring you both a stress free and fabulous wedding day. This complete Cyprus wedding package allows you to relax and just enjoy your special day whilst your wedding planner looks after all of the details for you. *please note that the price includes the extra Town Hall fee for weddings that take place after 2pm. 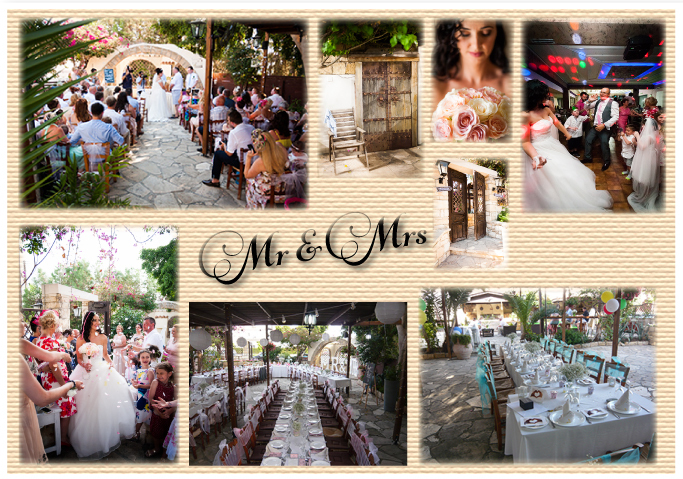 This plan is a complete Cyprus wedding package for 20 people where the wedding ceremony and reception both take place in this beautiful taverna with it’s lovely shaded private courtyard. Items 1 thru 7 from the Simple Town Hall Civil Wedding Package plus the extra fee levied by Town Hall for conducting a restaurant ceremony and the venue hire fees are all included in this package. ❾ Full wedding planning service including pre-wedding meeting & reception venue decoration. Another fabulous value for money Cyprus wedding package. 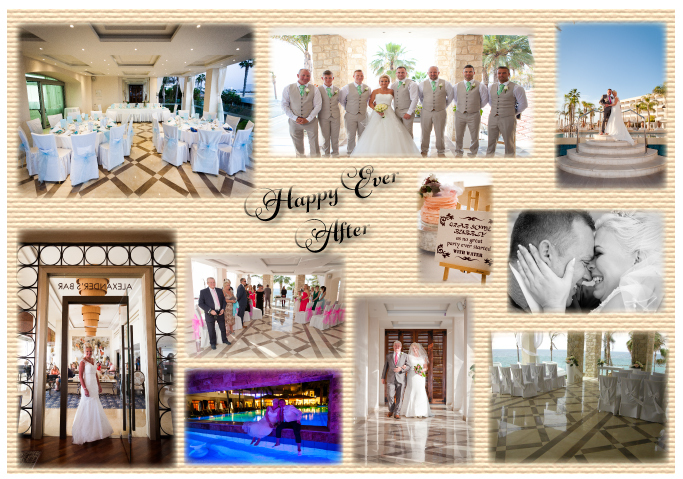 This is a complete Cyprus wedding package for a wedding and reception for 20 people at the 4 star Alexander the Great Hotel in Paphos, one of the most popular hotels for weddings in the area. Please note that it is a condition of the hotel that in order to have the wedding there you need to book a 7 night stay. Items 1 thru 7 from the Simple Town Hall Civil Wedding Package are included in this plan plus the extra fee levied by Town Hall for conducting a hotel ceremony and the hotel venue hire fees are also included. Discount on room for the bride and groom when 15 guests. 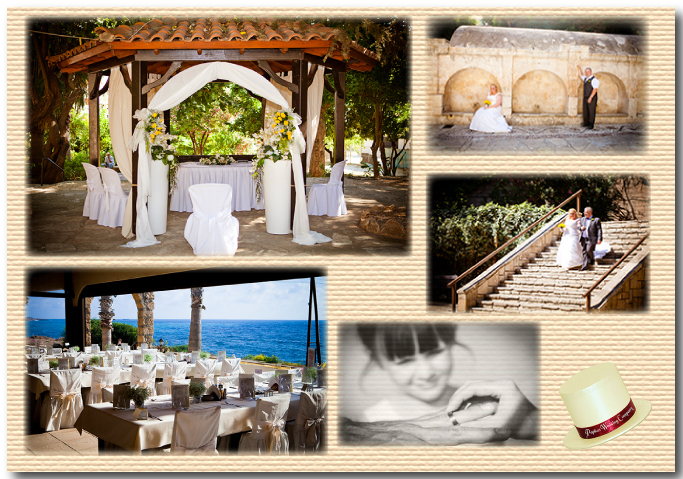 Another fabulous value for money Cyprus wedding package from Paphos Wedding Company.